Which muscle does not stabilize the ankle joint? 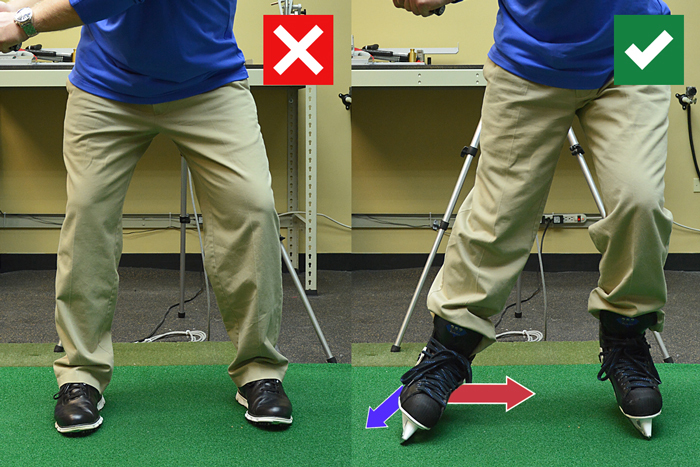 When doing any standing activity, ankles will be used. If you are looking to maximize strength or balance, checking stability of the ankles is a critical area that is frequently overlooked in training programs. There is some significant loss of control of precise movements when these muscles are weak. Additionally, some of your potential power is being ‘left on the table’. Which of the following muscles does not prevent medial or lateral flexion of the ankle? It is important to make a distinction between two common usages of the term ‘stabilizers’. The stabilizer term can be used in the context of referring to a joint, and other times in the context of stabilizing a functional movement. It is very important to be clear on these two common usages because they can cause confusion in your training program. When the term is used in the context of stabilizing a joint, it is referring to exerting force to control medial and lateral motions. If we look at stability of the ankle as a joint, four of these muscles are stabilizers. They prevent lateral and medial motion of the ankle joint. These muscles will always be stabilizers of the ankle joint. If instead, we look at stabilizers of a functional movement, these same muscles will sometimes be stabilizers, and other times be agonists, antagonist or synergists depending on the movement. If for example, we look at the functional movement of ankle flexion (i.e. rising up on your toes), these same four muscles will ‘stabilize’ the action of ankle flexion. If instead, we look at a functional movements involved in golf when the back foot exerts a push posterior and medial during a drive downswing, the activity of the same muscles change. In this functional movement, two of the ankle stabilizers will be acting in a prime mover (agonist) capacity by contributing to the medial motion of the drive. The answer to the question is 3 – gastrocnemius. This is one of the bigger calf muscles that primarily plantar flexes (points) the foot. 1 – Tibialis Anterior – This muscle pulls the foot upward and stabilizes the ankle from eversion (prevents the sole from twisting to face laterally). 2 – Tibialis Posterior – This muscle pulls the foot to point downward and stabilizes the ankle from eversion (prevents the sole from twisting to face laterally). 4 – Fibularis Longus – The muscle is also called Peroneus Longus and point the foot down and stabilizes the ankle from inversion (prevents the sole from twisting to face medial). 5 – Peroneus Tertius – This muscle is also called Fibularis Tertius and pulls the foot up and stabilizes the ankle from inversion (prevents the sole from twisting to face medial).